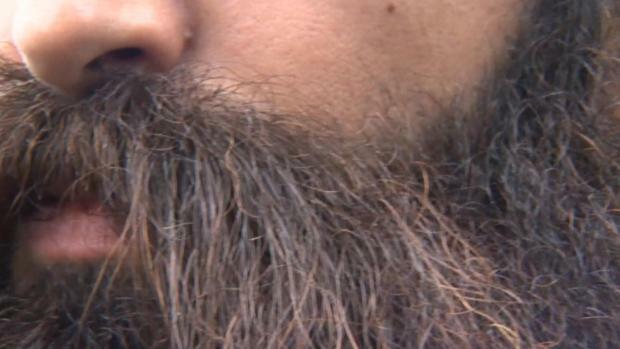 A New Jersey firefighter who sued to keep a beard he grew for religious reasons has shaved it off after a judge denied his request for a temporary restraining order that would have allowed him to keep his facial hair. A lawyer for Atlantic City firefighter Alexander Smith says he decided to shave his 3-inch beard so he could continue to provide for his family. Smith had filed a civil rights lawsuit to keep the beard he began growing in December as a born-again Christian. Fire department guidelines prohibit beards and goatees, saying facial hair can affect the seal of the breathing mask firefighters wear. Smith is an air mask technician who has never had to enter a burning building or wear a mask in his role. But fire officials say all active members are expected to fight fires during an emergency.